OMG guys, Anastasia Beverly Hills has soooooo many great releases coming as part of their Summer Collection next week! On Tuesday, 5.16 they are launching their new Blush Trio Palettes (check out the lip gloss and single shadows as well)! These trio palettes come in five different shade combos: Betty Adore, Pool Party, Peachy Love, Pink Passion, and Cocktail Party. First of all, these are like the cutest, most summery shade names ever. We seriously ADORE it! With those names, it’s definitely summer time! 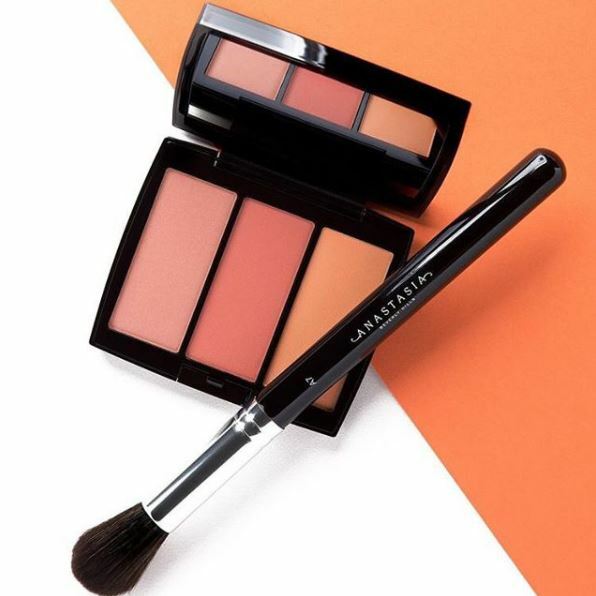 Blush trios aren’t something we see released everyday – this is kind of unique! ABH is good at that, though. The combinations are truly fabulous. Each combination is super cohesive and can totally be mixed together to create custom shades OR can be used on their own! Plus they’re super compact so they’ll be ideal for your summer travel plans! That way, you’ll have the convenience of three blush options in one tiny compact! Each palette will be $30 and will be permanent additions to the brand! They will be available on ABH’s website on 5.16 and then at Sephora, Ulta, Macys, and Dillards on 6.13 (and then in those stores on 6.23!) That’s probably a lot to remember, but don’t worry! If you join our email list, we’ll shoot you an email on both dates to remind you! Omg Sweden?? How cool, tho! I bet you have all kinds of makeup brands that we don’t have!